The license cost is at a premium but considering the wide variety of features available, it might be justified to a certain extent. There are a few navigational improvements that can be done to improve the overall user experience. The product is extremely mature and well constructed. The fact that Apttus has the most robust total Quote-to-Cash offering ranging from Configure-Price-Quote (CPQ) to Contract Lifecycle Management (CLM), Incentive Compensation Management (ICM) and Revenue Recognition capabilities, makes their Contract Management capability that much more scalable into an even bigger, more valuable business solution. I also had a phenomenal experience with their Professional Services team that embedded with our team, got to know our business, challenges, processes and desired outcomes and worked tirelessly to deliver a winning solution. As a result, we transformed our contract management operation from a highly disconnected, manual and e-mail driven approach to a completely automated process within the Salesforce ecosystem. We were able to leverage pre-approved legal language to more easily construct our contracts. Approvals were automatically generated, disseminated, escalated and captured within the system. Contracts were easily e-signed by customers and countersigned by our legal team with a single click. Ultimately all contract language including terms, conditions and even specific clauses were stored as searchable data. There is little to dislike about the Apttus CLM product or in their ability to deliver a winning solution. As with many Salesforce applications, use of the interface could sometimes be more efficient with less whitespace and fewer page turns. But this is a minor consideration given the awesome results and great success we have experienced with this Apttus solution. As a result of our Apttus CLM implementation, we reduced our manual process by 40% of the redundant or unnecessary process steps. We reduced our contract processing costs by 25%. And we experienced a 60% increase in the speed at which contracts were signed. So, we were able to reduce the lag between close of an opportunity and the point at which we were able to start recognizing revenue. Sales Reps love it. Legal relies on it. And the Operations team can't live without it. In 25 years, this was one of the smoothest, most successful projects I have had the pleasure of overseeing. "Reason for Apttus Contract Management success"
Completely integrated with the native Salesforce CRM system. The best functionality available about customising for the end user. X-Author for contract for the better and fully desired Contract document output. Its robustness for the CPQ and ALM integration and compatibility. For the complex we have to customise a lot to get the desired output. Just make the application much more feasible to modify as per the requirement and light weight so that it work faster with upgrading the Angular JS. We have a complete pre ERP solution for out company and the Apttus CLM is helping a lot for the sales. Perfectly handling and robust in nature make sales happy to proceed with CLM life cycle for the company requirement. "Excellent CLM for use in an integrated Quote to Cash system"
We use Apttus CLM in combination with their CPQ product, and then integrate to our back-end systems and ERP. I find the Apttus CLM to be well-designed out of the box, and it was relatively easy to configure during our deployment. Our Legal and Contracts team also benefit from the X-Author functionality that allows us to use our Office suite to manipulate and edit documents seamlessly within the CLM. We have a very complex agreement structure, with a lot of variable clauses, use-dependent templates, etc. Configuring Apttus CLM to handle that complexity took a lot of effort. Also, the presentment limitations for line items in the quote/agreement record could be more dynamic. We are using Apttus CLM to unify our previous patchwork of contracting systems and processes. Doing so allowed us to present a single, coherent contract to our customers. We no longer have to manually enter in customer, opportunity or approval information into our contracts, resulting in time savings and tighter revenue assurance controls. Making changes to our templates is swift and efficient. The changes we have made to our customer contracts, both individually and globally, is now highly reportable. "Robust Suite of Contract Management Features"
Overall I do enjoy how the Apttus CLM tool can handle countless variations of contract use cases. Using the XAuthor technology makes it easy to tie variables from Salesforce and inject clauses, addendums, and terms dynamically into an already familiar word template. The fact that the tool was built on the Salesforce.com platform makes it very familiar to a SysAdmin/Dev to enhance to tool further with simple configuration or more complex development. Generating documents seems to take an eternity at 5 seconds, which is rough in today's I want it now digital world. But, the output results make up for the snooze fest. Get your business process down and document it. Understand your Approval process flows. Run this through your business owners multiple times and finalise every aspect required to answer your KPI reporting. Contract Visibility. Ease of Access. Verizon Control. Scalability. "Using CLM has been very impressive and awesome"
what I like best with CLM: CLM not doubt has made the contract process at my Hospital much more smoother, faster cleaner than what it used to be. Our approval process has been modified using CLM workflows, process builder and Approval process. I was impressed when I saw the MAX demo for CPQ and I look forward to having such functionality in CLM because that would be very cool awesome for my Hospital legal department and other users. It is integrated with the native Salesforce CRM system. We can incorporate CPQ solutions and Apttus Advanced Approval solutions with in CLM and compatibility. X-Author plugin is most useful to create complex Apttus templates. I have recently created few new templates in FX2 format and i liked a lot while comparing with pre FX2 format. Easy to understand the users and good CLM life cycle process. X-Author and template generation functionality are too slow. The Guide which have currently is not enough information on best practices and this should have more detailed information. We are not using that high level this CLM product but we mainly using CPQ in our daily life cycle. Apttus CLM is helping a lot for the sales by generating Apttus templates. I do assist the internal team in order to fix the issue of our clauses and template issues. And used to do the template design part and template visibility rules in CLM. It's a highly scalable valuable business solution. Automatic generation of approvals. It can handle countless variations of contract use cases. Sysadmin can easily enhance the system. Nicely designed out of the box and easy to configure. Having the its own CPQ and ALM system available. Excellent end user customization. It's relatively simple to use and understandable for our customers. Its robustness and compatibility for the CPQ and ALM integration. There is not much to dislike about this product. Apttus has a proven abiility to deliver a winning solution. Perhaps the interface can be more efficient with fewer page turns, etc. Could use more guidance on complex processes. We have significantly reduced manual processes resulting in time and cost savings. Our sales team really likes it and Legal relies on it. And the Operations team can't live without it. This was one of the smoothest, most successful projects we have implemented and are quite happy with it. "Best Contract Management system in the Market - Apttus CLM"
The ease of creating contract Templates and the way we can customize the product to better suit our requirements and how flexible it is to customize according to the requirements. The integration of Adobesign with Apttus CLM is a plus and it totally helps in e-signature process. Also the integration of Apttus CPQ and CLM provides a seamless experience for the users and helps them in achieving their goals. Ability for all parties within our group to be able to view and track a specific contract/ agreement in real time. To be able to have history/ documentation of the contract life cycle and know who has worked on a particular record/ contract. Be able to fully track amount of time it spends with each particular group. Also, be able to fully know the amount of time it takes a contract from request to activation. What I like best about Apttus CLM is that it has given my department the ability to track and report on our Contract data. We are mainly using it for offline documents at this time, but we now can use the fields within the Agreement object to track our terms. We use to have to pull up and read the contact every time we had a question. I don't like that it can't handle multiple check-in's with redlines without wiping out the previous changes. We don't redline in an order but all at the same time. It's caused some issues when the metadata breaks. We are using CLM to house our Contract details and to track our approvals. Before Apttus, we were only using email and had to reread the contract with any questions. I like that Apttus automates the process that used to be more manual. It's allowed us to get things done in a slightly more orderly manner that is less wasteful in terms of creating steps. Apttus is slow. Our company has seemingly invested a lot in all of our business tools, but Apttus takes an incredibly long time to load. On top of this, it's incredibly clunky in terms of creating contracts. The process by which one must select products and re-price is incredibly inefficient and takes significantly more clicks than other processes. Beyond this, Apttus is very inefficient in terms of how it displays information once it's been entered into the system. I find myself spending a significant amount of time browsing pages to try and find the correct information as I go back to review certain points. I would look carefully at the full process that Apttus can offer you in the context of your actual business. They additional steps and buttons they force you to push are frequently onerous, and it falls significantly short of intuitive. Also be aware that the way it integrates with other solutions may be very clunky at best. We've created a more robust system to record and regulate the processes around getting contracts approved and moved. We do, at this point, have the ability to more closely monitor contracts as they move through the process. "Good Solution - Decent Customer Support"
I like that, once set up correctly, it is a great, easy solution to use. It is fairly flexible tool, and still gives users the ability to use other applications, like Word, to do their day to day job, while still being integrated within Apttus and Salesforce. The tool is easier to pick up if you already have experience with using Salesforce, as it is built on the Force.com platform. The Customer Support can be worked on. We were not given guidance on best practices, and so our solution started failing because we did not know how to grow the tool with our business. Also, it was hard to find solutions and answers online, which can be done for a lot of other types of IT tools. We are solving the Contract Lifecycle Management process, and trying to create a centralized tool that can be used easily with various business functions, including Sales, Sales Operations, and Legal. I like the access to the Backend APIs, we are currently using both the Standard CLM workflow, but were able to integrate apttus in our custom workflows through the apis. We are also using the docusign connector which was a little difficult to set up, but once configured works perfectly. I wish that the support was a little bit better, when we log cases they seem to take a little while to get resolved. Other than that I really dont seem to have any issues with Apttus aside from the support. We are solving the problem of automating our Partner Contracts - we use an outside vendor currently but are able to eliminate that cost by implementing the Apttus Contract Lifecycle Management set of products. We have also automated our Non-Disclosure Agreement Process and exposed it to 7000+ user through the Apttus OEM License Model. "Manage and put in place a CLM solution (APTTUS) for former Alcatel Lucent Company (worldwide)"
"The product is extremely well constructed and easy to use for any users." Completely integrated with the native Salesforce CRM system.Having the its own CPQ and ALM system available. The best functionality available about customizing for the end user. This easily allows us to keep the most current contract accessible and to send it seamlessly through technology. 40 characters is a lot considering I don't have that many complaints. I don't think its related but we use Apttus for a custom integration with our credit system and it could use some enhacements. I think the problem is due to the credit system. "Great and Robust CPQ solution"
Overall I do enjoy how the Apttus CPQ tool handles countless variations of contract use cases. Using the XAuthor technology makes it easier to print variables from Salesforce and inject various conditions into the word template. The fact that the tool was built on Salesforce.com platform makes it very familiar to a SysAdmin/Dev to enhance to tool further with simple configuration. Generating documents seems to take longer than usual. But, the output results make up for that. Contract Visibility. Ease to Access and Scalability. "Change a clause once, replicate across all related contracts"
Clause library and the ability to re-use clauses. Get an implementation consultant. Try to really limit scope and roll out to users quickly and iterate with feedback. Change a clause in one place and replicate across all contracts. Huge time savings for legal. will be working for Apple and that they have it in the roadmap that it will use the web version that will work without installing Addin. Our Enterprise customers need negotiated T's and C's. We have streamlined our legal red lining process with the sales cycle to ensure higher productivity and collaboration across the org. Their CLM solution has been a huge improvement over what we used in the past and has solved many issues. Overall, it is a good product and they seem very willing to listen to their customers and implement new ideas, which is very important to me. We see some limitations due to Salesforce like the search functionality. I would also like to see more integration with the cloud instead of dropping out into Word and Exchange during the negotiation process. I see them moving in this direction but I think they are behind their competition here. We needed a CLM solution for our company. We really only had a database in the past without robust workflows so this is a much improved solution for us. Apttus integrates with SF.com. Automated. Customers support. We have an issue that customer support can reproduce, but refuse to provide a fix. It makes us feel like our issue is not big enough for them to address. Replace our legacy CALM with Apttus CALM. "Currently implementing Apttus CLM in our organization." I love the automation which the CLM will provide to our organization. The amount of time it takes to implement. We are mostly interested in the streamlining and automation the program will provide. Xauthor word integration with Salesforce has many issues. Customizable to meet all customer needs from legal and customer perspective. Can be very complex because of the option to customize. "We use Apptus Contract Management in conjunction with Salesforce and Docusign to generate contracts"
easy to navigate user interface, a lot of flexibility to configure to your needs, easy to read display. Not sure what else to say. "Flexible and Easy to Use Interface"
The user interface of the application is amazing and naming convention is in easy to understand format. Documentation of this application should be more good. For example, they should use the software simulations, videos, new release trainings and much more. My company was using another installed software to manage contracts. Now, every user can access the application from mobile or home. As a new admin, it can be difficult to learn about all the great features Apttus has to offer. This brings the contract management right into the salesforce. This helps auditing ,finance and sales guys to work in colloboration, there by reducing emails and lot of follow ups. I need to look at the demo before i comment on this in detail. Just have a look at various products in the app exchange before we decide to buy in. Driving an end to end order management process and this app helps me in doing that. "It is a okay solution"
I think I like the Publish function in template, when it is mass publish, it works pretty well. Redlining. FX2 is okay too. "Robust feature set but needs a lot of customization"
Easy integration with SFDC and out of the box reporting capabilities. I am new to the software, however, I can see many exciting opportunities with the system for our company. Pooling all of our contracts throughout the company in one central location. It integrates well with salesforce.com and the X-Author app makes creating and editing templates easy. I really can't of anything at the moment. Apttus helps us generate Orders and Quotes for our customers. "Great tool with deep Salesforce integration"
Apttus CLM is powerful and highly customizable. Some unique architecture decisions that are not in line with Salesforce customization. Taking a contract process that took weeks down to 20 minutes. ease of use and speed to getting business done. I dont really have any thing to compare or contrast it to, so nothing really. best integration with salesforce and docusign and great product! easy to use! contract and order execution for software deals. "CLM is great from Apttus"
Document generation, it has lot many things that need to be improved. Need some thing for document security. Well integrated with Word and Salesforce. Authoring is straight forward. Documentation and training could be enhanced. Helps to maintain consistency in contract terms. You do have to pay for it! There is a learning curve with all software, but well worth the time investment. Be clear in your requirements to understand implementation needs. The contract management app is versatile and easy to use. 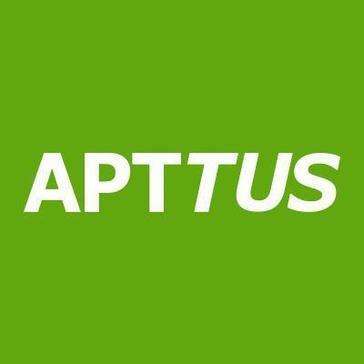 "Use Apptus as a contract management database"
Apttus allows you to easily connect between Microsoft word and its program, to work seamlessly between the two. It is not easy to change your templates once you connect them to Apttus. It then becomes tied to each release. Ability to keep track of contracts and specific clauses, what has been agreed to. You can create reports and customize as you see fit. "Apttus X-Author is very robust tool, which connects to Salesforce and get data on the fly"
Apttus X-Author is very robust tool, which connects to Salesforce and get data on the fly, Our legal team extensively relay on this tool to send their agreements on time during quarter end. When establishing a connection it takes a long time to sync, once the we make the connection it is fast and easy.Also the support for this product is really time consuming mainly because when we file a case it takes a while to setup the particular user and meeting with Apttus to trouble shoot. "Good but has a little way to go to enterprise readiness." Great integration with Word. Good authoring tool. Great Salesforce integration. Clause library / playbook functionality clunky. Customer contract management. Benefits realized are repository of documents and nonstandard terms, and standardization. * We monitor all Apttus Contract Management reviews to prevent fraudulent reviews and keep review quality high. We do not post reviews by company employees or direct competitors. Validated reviews require the user to submit a screenshot of the product containing their user ID, in order to verify a user is an actual user of the product.